Home › estoppel › IL 157,035 – If one accused of infringing a patent does not challenge its validity, is the accused estoppeled? IL 157,035 – If one accused of infringing a patent does not challenge its validity, is the accused estoppeled? Israel Patent Number 157,035 is owned by Moshe Lavi. It relates to a shelf for the compressor of an air conditioning unit. 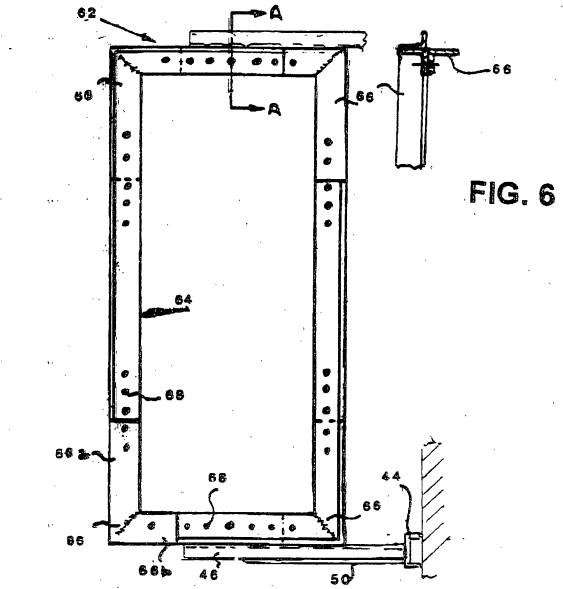 A modular bracket for an air conditioner compressor, said bracket comprising a substantially rectangular frame composed of at least two portions, being “U” or “L” shaped provided with surplus holes allowing adjustments to suit the thickness of an air-conditioning compressor to be seated thereon, at least one further structure being attachable to said rectangular frame to provide support thereto. The patent application was filed in July 2003 and issued in May 2007. In April 2014, Zach Raz, represented by Pearl Adv. filed a cancellation proceedings and, on 27 July 2014 Moshe Lavi, represented by Pearl Cohen Tzedek Latzer Barats filed a request to have the case thrown out. Note, the Pearls concerned are different lawyers with the same name. To differentiate between them, we will call one firm Pearl and the other Pearl Cohen – Brats. In an earlier dispute, 47000-02-12 Moshe Lavi vs. Zach Oz Air Conditioning LTD., the parties agreed to an out-of-court settlement in which the applicants for cancellation undertook not to infringe the patent, and, consequently, Pearl Cohen Brats argued that they were estopelled from challenging the validity of the patent. At this stage Pearl Cohen Brats claims that Zach Oz never raised validity issues which are generally the first line of defense that infringers take, and at this stage, they are estoppled and it is too late for the them to challenge the validity of the patent whether or not the grounds for so doing were known at the time of the previous ruling. Moshe Lavi represented by Pearl Cohen Brats further alleged that Zach OZ was behaving inequitably and was misusing the legal procedures. This argument was based on the compensation damages awarded in the out-of-court settlement were minimum as the parties were keen to put the legal battles behind them, and, were Moshe Lavi to know that the validity would subsequently be challenged, they would never have agreed to reducing the compensation. Zach Oz argued that there was no positive declaration of validity or admission of validity in the court case or in the out of court settlement. They further argued that the grounds for invalidating the patent were only discovered after the out-of-court settlement. They further opined that throwing a case out without discussing its merits should only be considered in extreme cases where it is clear that the case is frivolous. Since the issue of infringement and that of validity are not the same, one cannot consider that the previous court ruling prevents the patent office from hearing the case. The Commissioner, Asa Kling noted that throwing out a case on a technicality without hearing it on its merits was an extreme step, and that the Israel Patent Office had an obligation to ensure the integrity of the patent register (see section 73b of the Israel Patent Law 1967) so that the validity of any patent that arguably should never have issued should be challengeable. Access to the Courts is a constitutional right despite there not being a constitution and this right is not yet written into the basic laws, and the courts will uphold this right. Access to the courts is a basic right as basic rights are commonly understood. Furthermore, access to the courts is considered a basic right, even if not literally stated in the Basic Laws. It is the air that allows the courts to breathe and is the basis of the judiciary and of the rule of law. In other words, Heishin was noting that the courts need to be able to hear cases to function and so were loath to throw cases out on a technicality. Commissioner Kling accepted the need for finality, but ruled that the need for access to courts and for cleaning the patent register by voiding a priori non-valid patents was a greater need. He didn’t consider that civil procedures were merely for the benefit of the warring parties and there was an overriding national interest in allowing cancellation proceedings to be judged on their merits. Section 73b rules that such cancellation proceedings could be submitted by anyone. Based on the statements of case, this instance was not one of those rare cases where access to the courts should be denied. In paragraph 2 of the statement of case, Lavi (represented by Pearl Cohen Brats) stated that “the patent was granted on 12 May 2007 and is in force for all purposes”. In paragraph 14 of the counter claims Zach Oz represented by Pearl stated that the patent is in force until 21 July 2013, i.e. a further year. It seems that this was simply a misreading of the register. One cannot deduce from this that they accepted that the patent was inviolate and could not be challenged. Since anyway, anyone can challenge the validity of a patent, and in so doing, serves the public interest, the whole concept of judicial estoppels is irrelevant and this skirmish is simply a waste of precious judicial time. Essentially the infringer, can, of right, challenge the validity of the patent in the patent office whilst defending himself from allegations of infringement. The legislators intentionally allowed this and the estoppel simply does not exist. It appears that Lavi (represented by Pearl Cohen Brats) are attempting to learn ex silencio assent to the validity of a patent whose validity was never formally asserted. Although Section 182 allows the alleged infringer to raise invalidity issues in his defense, he is not obliged to do so. The mere fact that in the previous court case, there were vague references to validity issues, the court never addressed those issues and it cannot be construed that the previous court had affirmed that the patent is valid. Citing Zaltzman in Court Actions 1991, , the Commissioner ruled that an out-of-court settlement undertaking not to infringe that was subsequently endorsed by the court cannot be considered as if the parties had accepted validity of the patent or that there was indeed infringement. They had merely decided not to bother to have an adversarial dispute that could create estoppels. Arguably, the claim that the token compensation would not have been accepted had the patentee known that the validity of the patent would subsequently be challenged might be grounds for ruling that the agreement was broken or for claiming inequitable behavior in an appropriate forum but this could not be used to argue that the case should be thrown out without relating to the issues raised, thereby preventing the validity of the patent from being challenged in the patent office. The Commissioner ruled that each side should bear their own costs for this request to throw out the case. The patentee was given three months to relate to the validity issue. Disclosure – Way back in 2007 when Lavi sued Zach Oz, I was approached by Soroker-Agmon on behalf of the defendant to give an expert opinion concerning whether the patent was infringed. I came to the conclusion that there was no infringement unless the claims would be interpreted so broadly that they would be voidable as lacking novelty (the Gillette Defence). 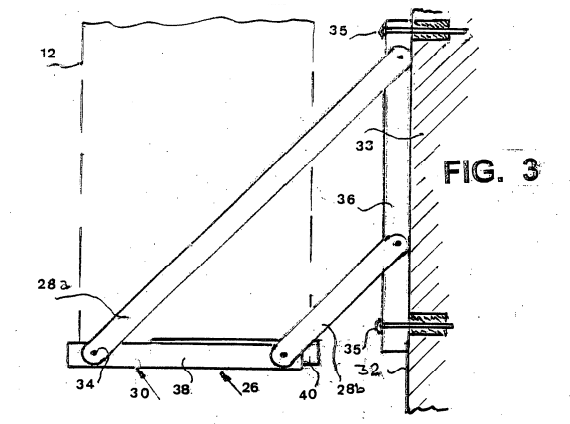 I requested a minimal budget to search the prior art as it seemed clear to me that the patent was for a shelf bracket with a triangular brace and it should never have issued anyway. The budget was not forthcoming, and I never got to present my arguments of non-infringement in court as the defendant got cold feet and agreed to the out-of-court settlement so my arguments were never heard. It was and is my belief that the patent in question was not infringed, could easily be voided as lacking inventive step and, with a little searching, should be easy to show was anticipated. No substantive judgment was given. The issue before the Commissioner was a legal one and was simply whether the arguments for cancellation should be considered on their merits, or whether the party requesting cancellation should be legally prevented from presenting their arguments. The commissioner is, of course correct to throw out the request to throw out the case on a technicality. Furthermore, as the request was frivolous, and as noted by the commissioner, the request was a waste of Judicial resources, I think he was more than generous in ruling that the parties should bear their own costs. I understand that back when the infringement case was filed, Zach Oz had minimal resources to fight the patentee and was effectively bullied into submission. As with the Source Vagabond case, a more vigorous defense would have been that the whole lawsuit was frivolous, that the patent was not infringed. Maybe now they’ll do what they should have back then and show that the patent never should have issued.